Ubuntu Linux version 14.04 LTS has been released and available for download. Ubuntu Linux is a community-based Linux distribution. The latest release of Ubuntu brings the best open source technologies together on one platform, with the benefit of free updates for 5 years. This latest release of Ubuntu Server is heavily focused on supporting cloud computing, mobile phones & tables, 64-bit ARM-based microservers support. 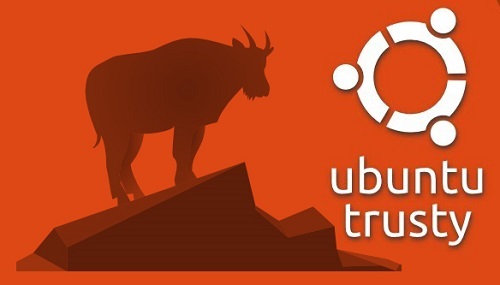 What’s new in Ubuntu v14.04 ? StrongSwan IPSec – a feature rich, modern IPSec solution. Networking – Included Open vSwitch 2.0.1 support (including VXLAN), better bonding support, better bridge management and diagnosis and new buffer bloat avoidance measures. We also introduce better TCP connection management in the face of packet loss, plus TCP fastopen and improved attack tolerance. OpenStack – Icehouse version – Open source cloud infrastructure deployment and management framework. Download 64 bit version to take full advantage of computers based on the AMD64 or EM64T architecture. This is useful for server and workstation. Select 32 bit version if you are not sure about your processors type. ← grub-install: warning: this GPT partition label contains no BIOS Boot Partition; embedding won’t be possible.